If you are looking for a tasty way to spend the day with friends, then McComb’s Coach Travel’s new tour ‘Grub Crawl’ is the answer. The Grub Crawl visits several local foodie delights including Abernethy Butter in Dromore (read our interview with the guys here), The Poacher’s Pocket in Lisbane, Kilmegan Cider in Dundrum, the Echlinville Distillery in Newtownards and the Mourne Seafood Bar in Dundrum (read our review here). The Friday and Saturday Grub Crawls both depart from Glengall Street in Belfast which is also the last stop. Caroline said: “The Friday Grub Crawl gets off to a great start with a visit to Abernethy Butter where guests will see a demonstration of how they create butter from scratch and afterwards enjoy lashings of amazing Abernethy Butter on some delicious home-made soda bread with a cup of tea. 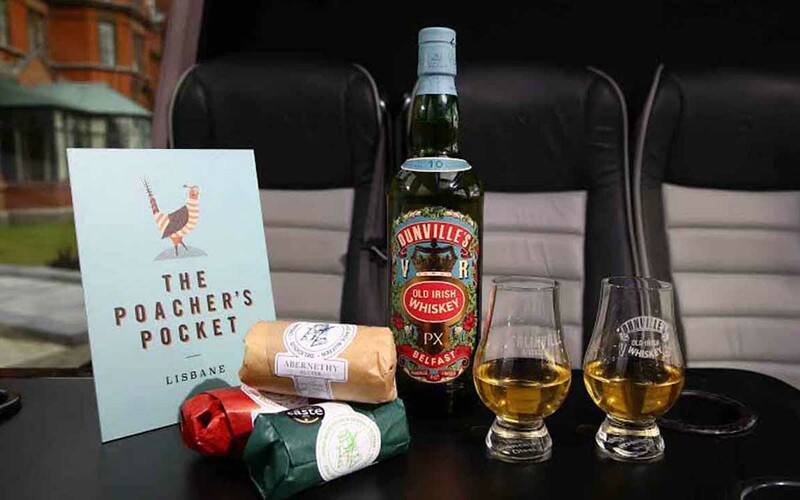 Next stop is the village of Lisbane, to locally owned restaurant The Poachers Pocket where everyone will raise a glass of Craft Beer before tucking into a delicious tasting platter starter, followed by a choice of four main courses and if you have any room left, there will be locally produced cheeses with crackers and chutney to finish. The Grub Crawl tours begin on April 22nd 2016 and will run alternately on Fridays and Saturdays. There is a special introductory offer of £65 per person. For further information and to book visit McComb’s website, www.mccombscoaches.com or call them on 028 9086 6162. You can also find them on their Twitter and Facebook pages.